I promised to share a tutorial for how to quickly and easily make nine-patch blocks. So here it is! I even took it a few steps further to show you how to turn it into a fun little coaster! 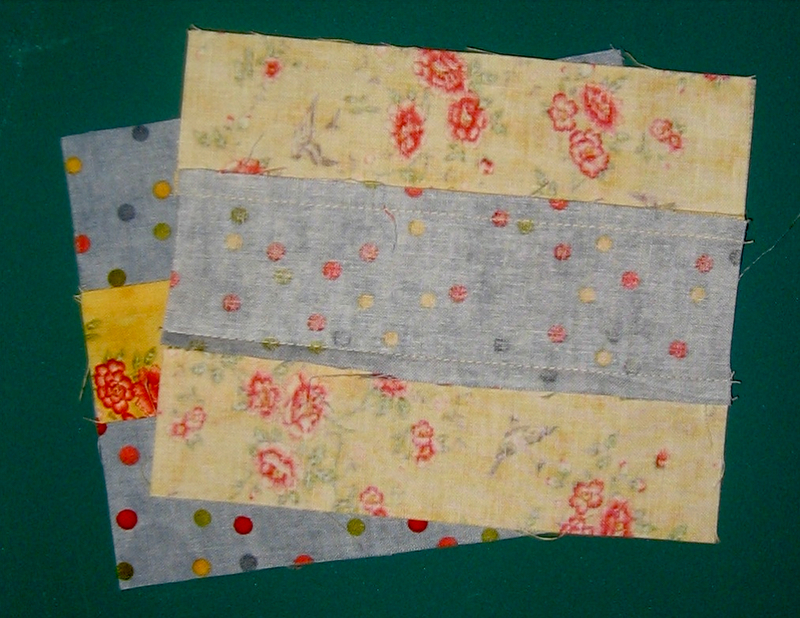 This method works best for making scrappy quilts and it’s also great for hosting a block swap. Get a group of friends together and have everyone bring in fifty 6″ squares. Throw all the squares into a pile and have everyone randomly pick out fifty new squares. Then use this method so everyone can create 50 nine-patch blocks that are all different! Use this method for any sized square, although it is best to pick something that is easily divisible by three (3″, 3.75″, 4.5″, 6″, etc). This tutorial uses 6″ squares. Start with two 6″ squares in different fabrics. 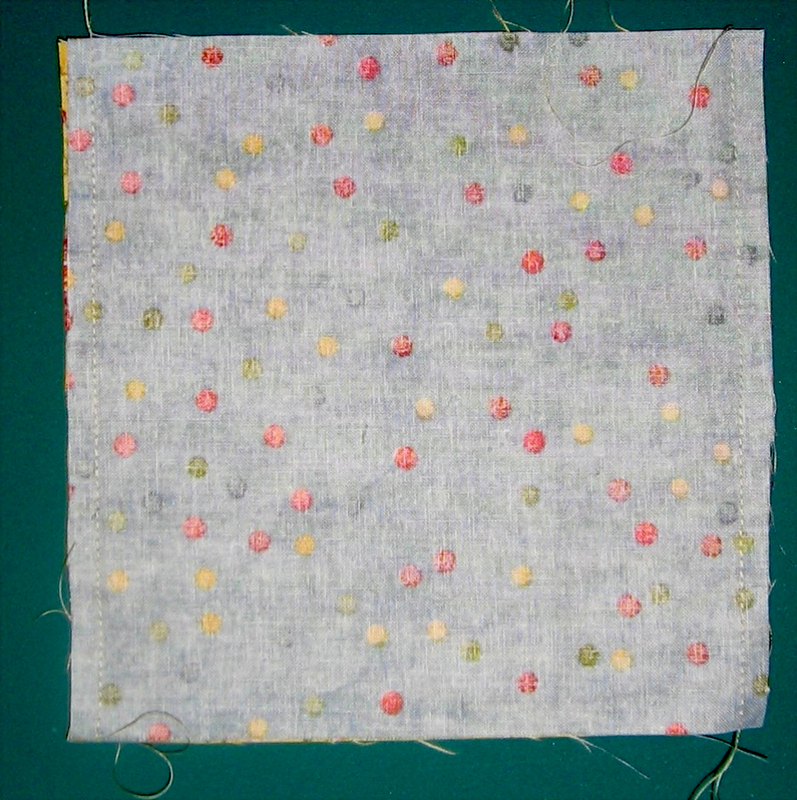 Put the squares right sides together and sew a 1/4″ seam on the right and left sides. Using your rotary cutter, cut the unit into three rectangles that are 2″ x 6″. Make sure you are cutting parallel to the seams you just made. 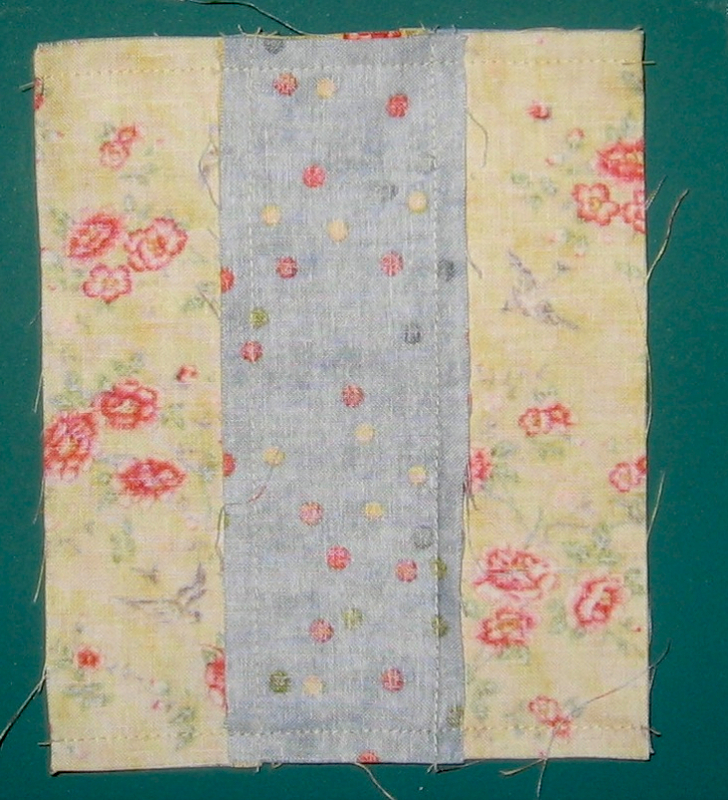 Press the seams towards the darkest fabric to create two pieced units. 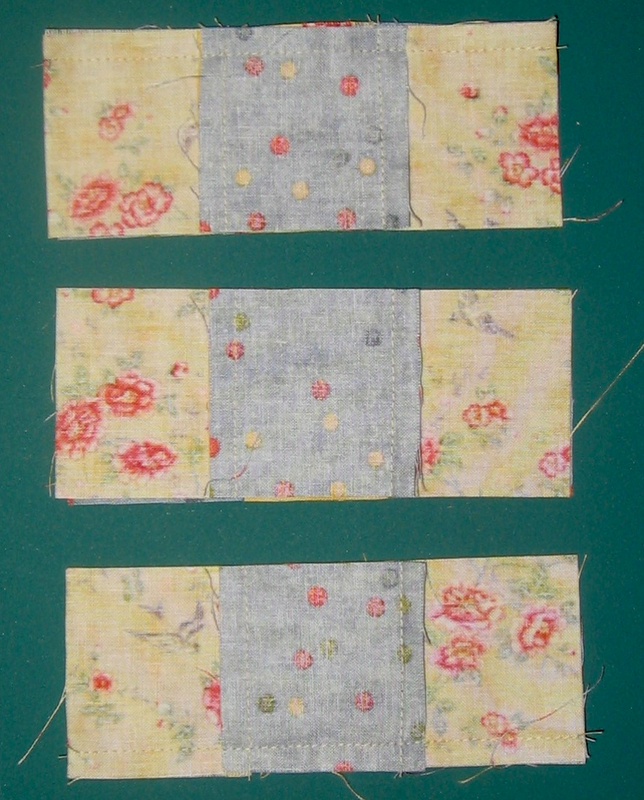 Take the center rectangles and sew them to the appropriate side of the pieced units. Press the seams to the darks. You now have two units of alternating fabrics (A-B-A and B-A-B). Take these new squares and place them right sides together. Make sure the stripes for both are running in the same direction. Sew along the shorter sides of this until with a 1/4″ seams. Cut this into three rectangles that are 2″ x 6″. Again, be sure the same you just sewed is parallel to the cuts you are making. Press the seams. 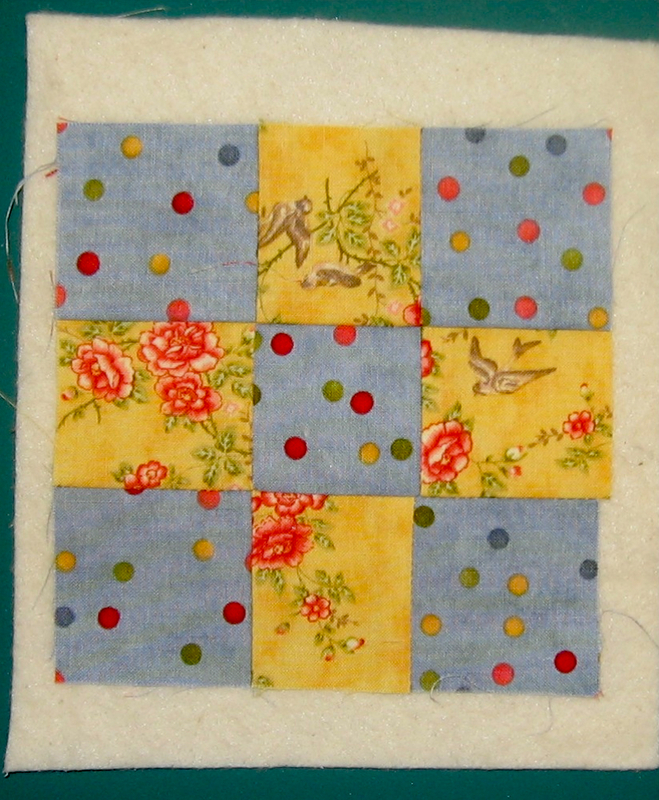 Sew the center units to the appropriate unit to make a nine-patch block. Press the seams. You will now have two complementary nine-patch blocks. If you want to make into a coaster, layer one block with backing and batting to make a quilt sandwich. Quilt as desired (I just did some diagonal lines). Trim off excess batting until each block is 4.75″ square. At this point, you can just bind the squares for square coasters (use 2 1/4″ strips that are 22″ long). 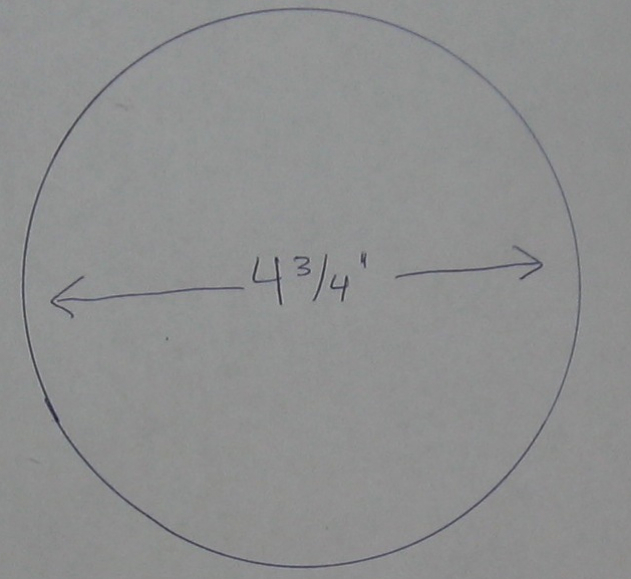 If you want to make circular coaster, create a template that is a 4.75″ circle (or download my template) and use it to cut around the block. Cut 22″ inches of 2 1/4″ bias binding. You need bias binding because it is much easier when working with something circular. I didn’t use bias binding on my coasters and you can see that the circle is not very smooth around the edges. Bias binding would have been a better choice (although I was trying to save some time by using some binding scraps I cut for another project). 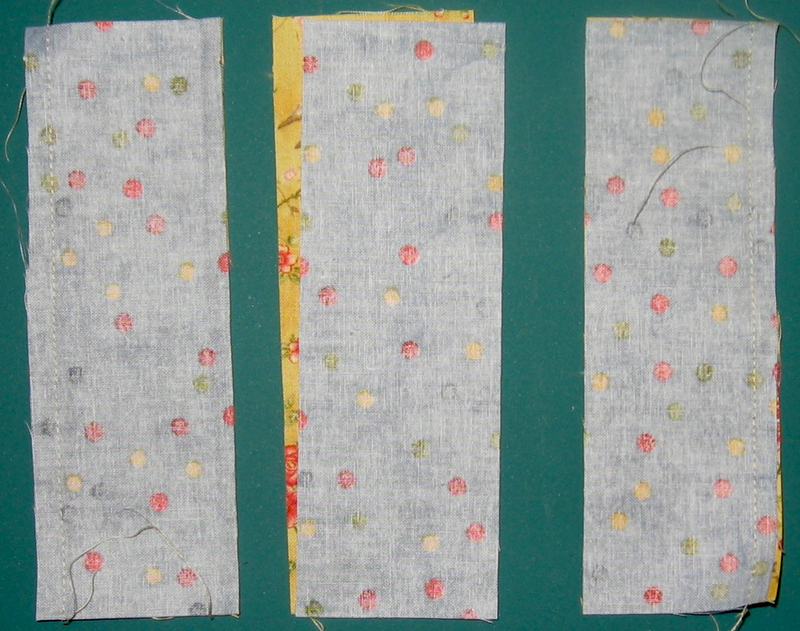 Sew binding, press, and then attach to back. Make a cute set of 4 coasters, tie together with a ribbon, add some teabags and a mug, and you’ve got a great gift to give your favorite tea drinker! 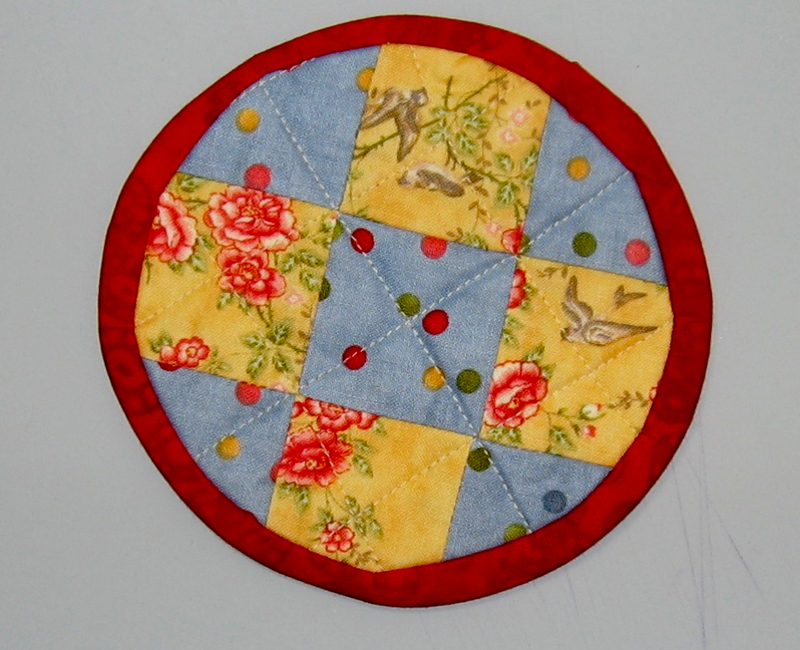 This entry was posted in Household, Quilting, Tutorials. Bookmark the permalink. This is fun to watch what you are doing every day. Glad you enjoy it 🙂 . But you also know what projects I may be making for gifts or other surprises!! So you always have to act surprised when I give you something. excellent instructions!!! The photos are a great help. Well done. Thanks Mrs. B! You could have a lot of fun making some of these.